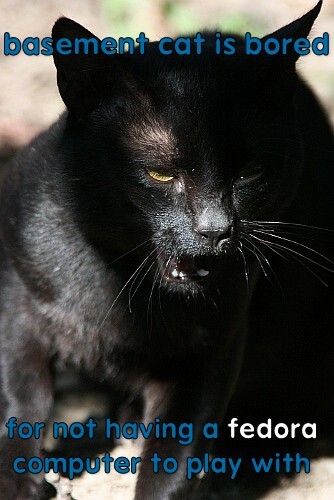 This may be a new low for postings on my blog, but I rarely get my cat Zorro in a good posture for photography and here I think his yawning can be easily confused with a manifestation of his essence of evil, so I had to turn it into a lame lolcat. Is that a cat?? wow I thought it was like a panther or a jaguar, nice picture.